Fragmented pottery, left, and bone tools found at the site of Isla del Tesoro (Lombardo U et al). “We have discovered the oldest archaeological sites in western and southern Amazonia. 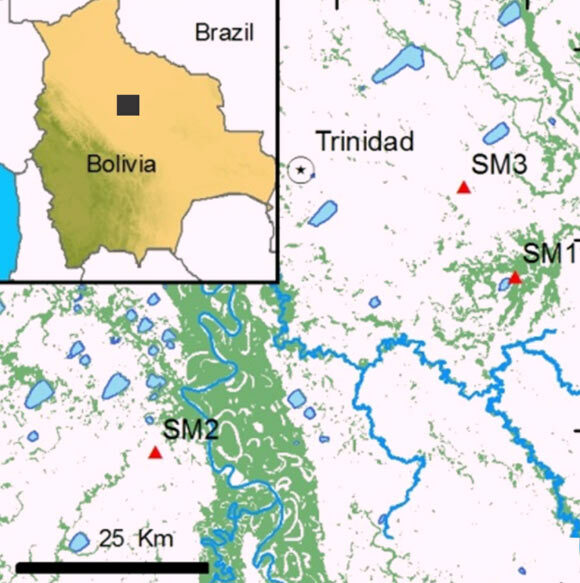 These sites allow us to reconstruct 10,000 years of human-environment interactions in the Bolivian Amazon,” explained lead author Dr Umberto Lombardo from the University of Bern, Switzerland. The mounds appear to have formed in two phases: an older layer composed primarily of snail shells, and an overlying layer composed of organic matter containing pottery, bone tools and human bones. The two are separated by a thin layer rich in pieces of burnt clay and earth, and the uppermost layer of deposits was also seen to contain occasional fragments of earthenware pottery. 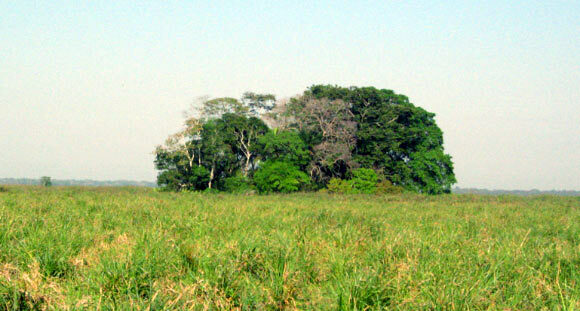 Panorama of the site of Isla del Tesoro (Lombardo U et al). Radiocarbon analysis of two middens indicates that humans settled in this region during the early Holocene, and shells and other artifacts built up into mounds over an approximately 6,000 year period of human use. 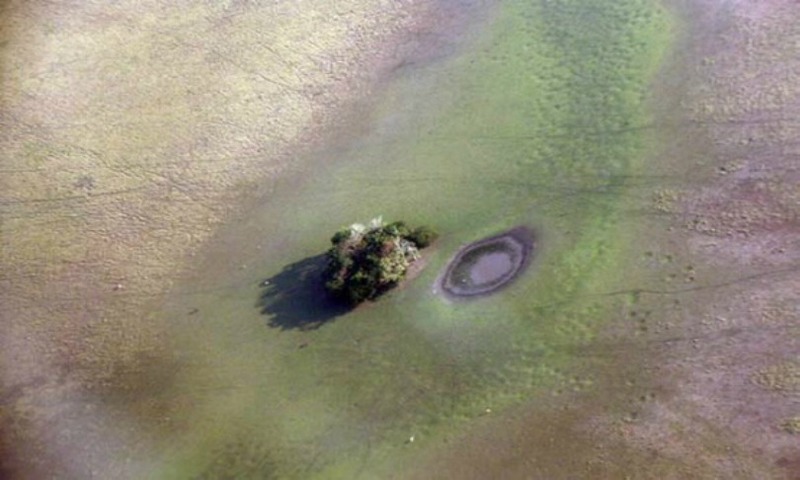 According to the archaeologists, these sites may have been abandoned as climate shifted towards wetter conditions later.